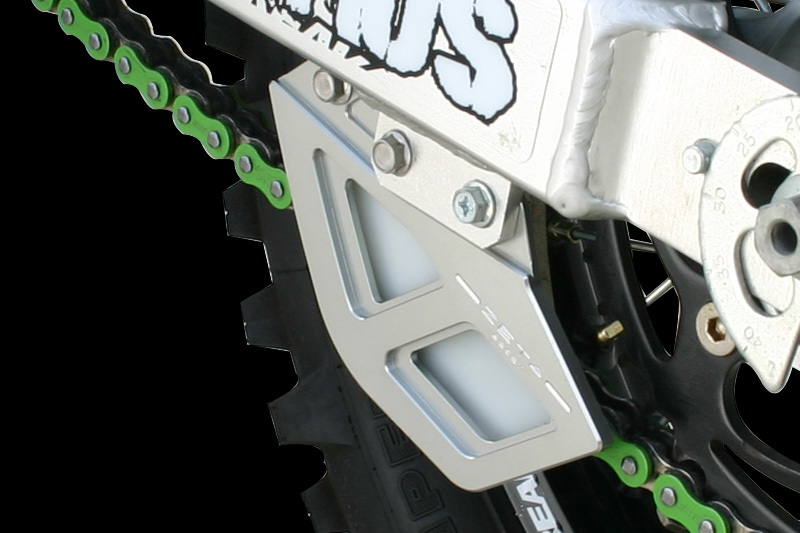 - Protects your chain guide from rocks and other debris. 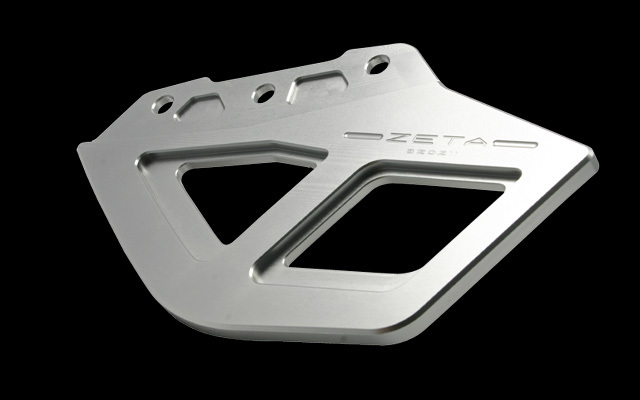 - Made of CNC machined A7009-T6 aluminum. 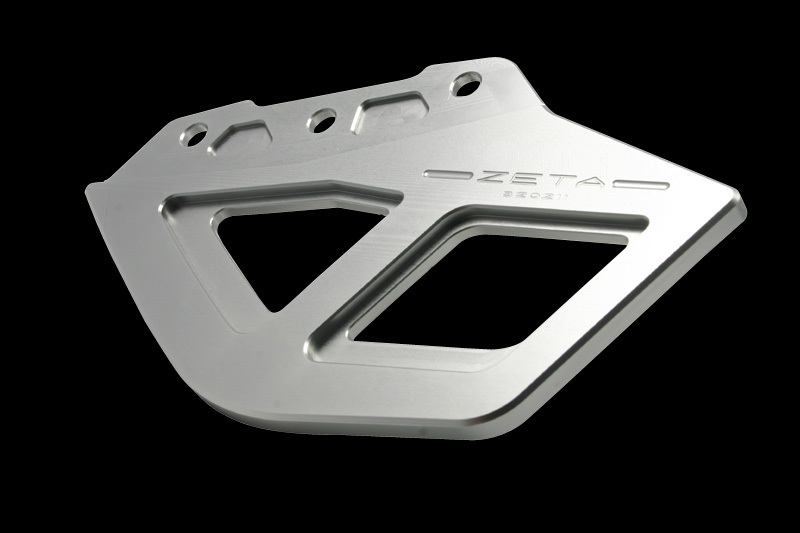 - Finished in anodized titanium-color. 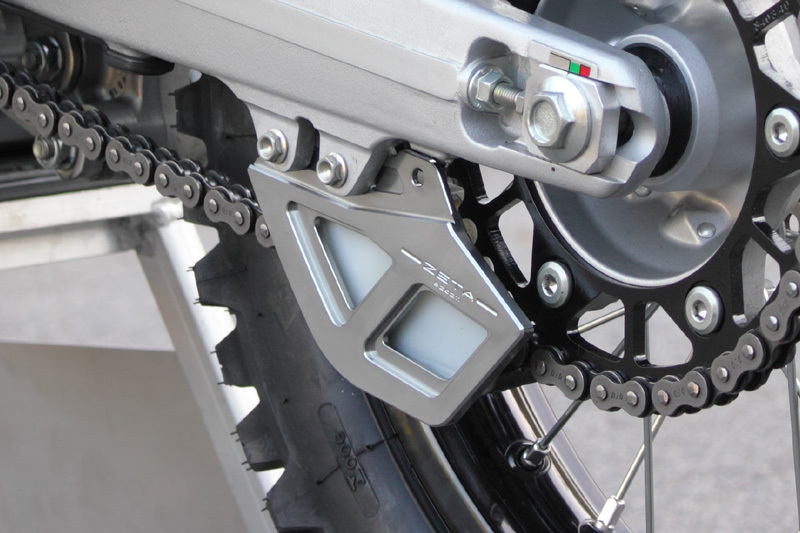 - Chain guard for XR can be attached offset in the forward position by using the extra screw holes enabling the use of up to 46T sprockets.